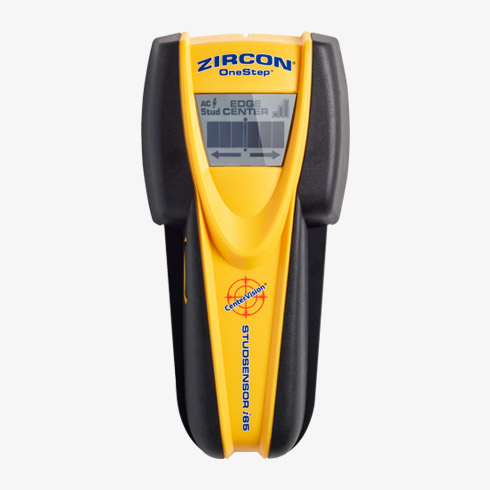 The Zircon StudSensor™ i65 OneStep® stud finder quickly and easily locates the center of wood and metal studs and joists behind walls, floors, and ceilings. Patented CenterVision® technology finds the center of studs in a single pass. 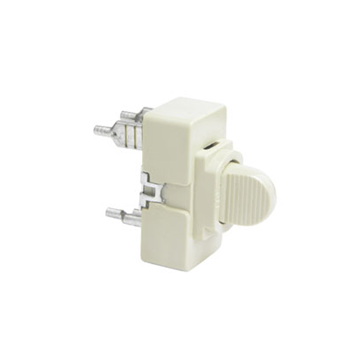 Its easy-to-read display screen indicates direction, edges and center of studs, while WireWarning® detection indicates the presence of live AC voltage. See tool's instructions for more information. 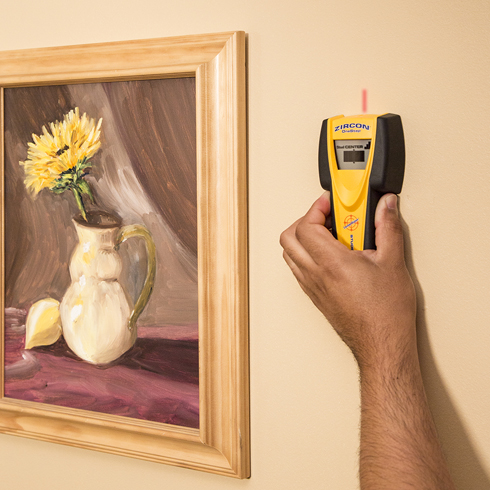 Sensing depth and accuracy can vary due to moisture, content of materials, wall texture, paint, etc. Indoor use only. 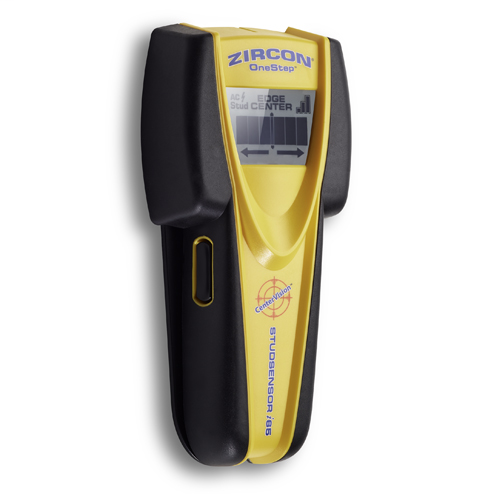 Zircon Tip Minute 3: How to Use a Stud Finder?